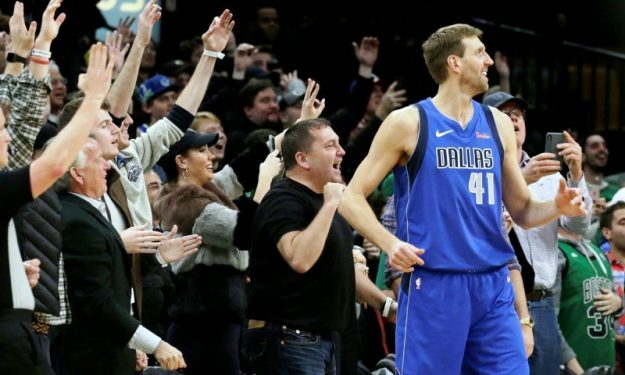 The Boston Celtics fans said goodbye to Dirk Nowitzki by cheering him and wanting him to score. Dirk Nowitzki needed just one point in order to pass Kobe Bryant for the most points scored in Boston’s TD Garden by a Western Conference opponent. He couldn’t make it, but still got a standing ovation from Boston’s crowd. “Yeah, I mean super sweet, super emotional,” Nowitzki said. “It’s sweet when not only your home fans, but the fans on the road, that appreciate what you’ve done in the last two decades. I appreciate the fans of Boston and, unfortunately, really disappointed I couldn’t even make one”. The Celtics claimed a 114-93 victory over Dallas in what was probably Nowitzki’s last game in Boston.